I have been fortunate enough to attend the Knitting with Company retreat, hosted by Churchmouse Yarns & Teas, on Bainbridge Island twice: both last spring, and again just last month. Both times I have left feeling insanely inspired, motivated to grow my business in the direction that makes me happiest, and ready to make only beautiful things, because life is too short for anything less. These socks are a reflection of the beauty and simplicity of this retreat. They make my heart supremely happy, are made from quality materials (seriously, that yarn... wow!) and are made by my own two hands. That's pretty much all I'm looking for these days. These socks are all about texture - highlighting the beauty we find in each stitch of our project. 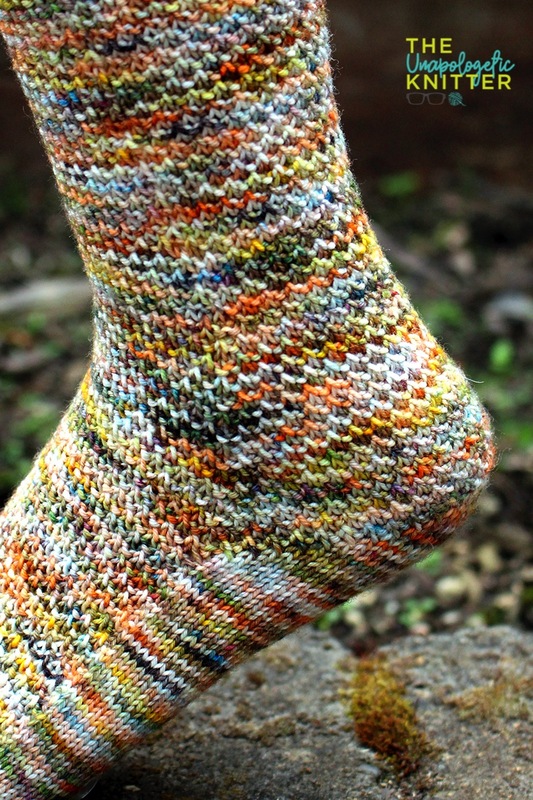 And these socks feature a yarn dyed right here in my home-state, Oregon, by Knitted Wit. Her Victory Sock base is magical: it's hearty and strong like the trees that are so bountiful here in the PNW. Wax poetic, much? I know... it's hard not to love days like this where I get to share things made by me and the other talented women I'm lucky enough to know. But onward... to the socks! Bring Island Wood into your home, too! While I know we can't go on retreats every weekend, we CAN knit ourselves happy thinking about the possibility of retreats and what it means for our mental and emotional health. 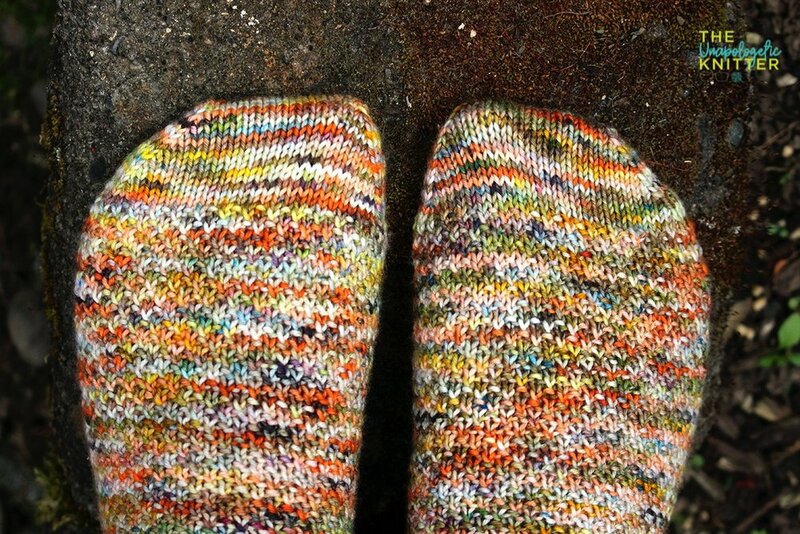 I humbly recommend getting lost in the stitches of the Island Wood socks this weekend. You can download a copy of the pattern here or on Ravelry. PLUS! This weekend only, until 11:59 pm PST, Sunday, May 20th, the pattern is 10% off at checkout, no coupon code required. And if you REALLY want to treat yourself, I highly recommend snagging a skein of Knitted Wit's Victory Sock, either in the Acadia National Park colorway used in the modeled socks, or any one of her other amazing, forward-thinking colorways. Her names are enough to make you laugh so hard you snort!